Logo Design for an eCommerce store specialising in desk accessories. The business name is Desky with the site being designed around Deskyverse (play on Desky and Universe). 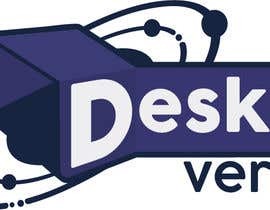 Ideally i am looking for a creative logo that incorporates a desk or monitor (as those are common to a desk) alongside or incorporated with a universe (or planet etc). With the logo having a flat look that can be made into a mono chromatic icon.